After the Hong Kong stock market relaxed the threshold for new economic companies to go public in Hong Kong this year, a number of new economic companies flocked to Hong Kong. The data shows that as of November 7, a total of 179 companies went to Hong Kong IPO, including 18 new economic companies, accounting for 10% of new stock companies. 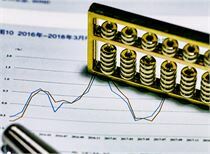 However, of the 18 new economic stocks, 14 broke, with a break rate of 78%; up to 8 of the issue price fell more than 30%, with a maximum break of 64%. Market analysts said that the new economic stocks are under pressure from high valuations, unsatisfactory profitability and weaker markets. The high rate of break-up is also in line with market rules. However, in the long run, although the new economic stocks are currently performing poorly, the importation of more fresh blood into the Hong Kong stock market is an inevitable choice for future transformation. 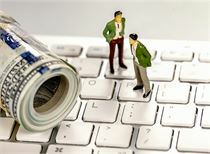 The “squeeze bubble” will also contribute to the long-term development of the market and enterprises. This year, the Hong Kong stock market ushered in the IPO big year, especially after the launch of the new listing in April, which relaxed the threshold for new economic companies to go public in Hong Kong, allowing "shared shares with different rights" and unprofitable biotech companies to go public in Hong Kong, for new economic companies. Greatly increased the attractiveness. Statistics show that as of November 7, a total of 179 companies went to Hong Kong IPO, raising a total of 256.748 billion Hong Kong dollars, which has more than doubled the total IPO fundraising of 122.6 billion Hong Kong dollars last year; 18 of them are new economic companies. 10% of the proportion of new stock companies. It is worth noting that although the number of new economic companies only accounts for 10% of the total number of new shares, its fundraising amount has reached 115.507 billion Hong Kong dollars, accounting for nearly 45% of the total new shares. 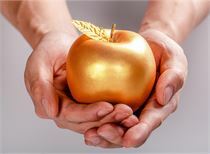 The high fund-raising amount of new economic stocks not only reflects the market's pursuit of new economic companies, but also means a high valuation bubble. First, the Hong Kong stock market hit a record high this year, and the market at the top of the bull market is in line with the high valuation. When listed this year, it will naturally synchronize the market and obtain a relatively high valuation. Secondly, there are fewer new economic companies in the Hong Kong stock market, and many companies listed in this round are not profitable, so their valuation is inevitably affected by the market and industry. Valuation bubbles are inevitable when other benchmarks are benchmarked, even in the US stock market or other leading indicators in the same industry. Since the bubble exists, it will inevitably face the pain of "squeezing the bubble." Statistics show that as of November 7, 14 of the 18 new economic stocks listed after the New Deal this year fell below the issue price, with a break rate of 78%, of which 8 fell more than 30%. 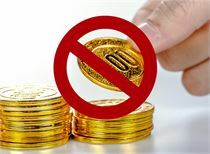 The top 5 declines were that Weixin Jinke fell 63.8%, Glory Pharmaceuticals-B fell 56.6%, Remittance Day fell 48.8%, 51 credit cards fell 48.2%, and Jieli Trading Bao fell 47.7%. 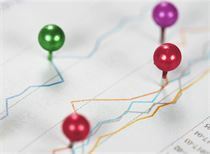 The market's new economic stars include Huaxing Capital Holdings (-39.7%), Baekje Shenzhou-B (-28.7%), Ping An Doctor (-24.9%), Xiaomi Group (-22.1%), US Mission Review (-9.0%), Haidilao (- 3.8%) are also unable to escape the fate. Market analysts said that on the one hand, the majority of new economic companies' earnings are not enough to support relatively high valuations, so breaking is in line with market rules. On the other hand, the market funds have tightened, and investment sentiment has been repeatedly hit during the year. New stocks are not supported by sufficient funds, and breaks can not be avoided. At the end of the bull market, the market may fluctuate in the early stage of the downturn or it can be maintained a little. At the moment, several new economic stocks are unable to escape the bad luck on the day of listing. Although the performance of new economic stocks continues to explore the psychological bottom line of investors, there are still many new economic companies targeting the Hong Kong stock market and eager to try. It is reported that during the rest of the year, Hong Kong stocks may also attract IPOs from a number of star companies, including New Oriental Online, Cat Eye, Hujiang English, Baby Tree, Red Bar, Tuba Rabbit, Weimeng, etc. The Hong Kong market is being transformed into “ The center of the new economy company." The industry insiders said that the Hong Kong stock market embraces the new economy and is the inevitable way of market transformation. Before this year, there were very few new economic stocks in the Hong Kong stock market, and only Tencent Holdings was enough to hold up more than 10% of the market value. Looking at US stocks for 10 years and Hong Kong stocks for 10 years, we can see that the US S&P 500 index has risen more than four times since it bottomed out in March 2009, and has doubled compared with the 2007 high. Compared with the 2007 high, the Hong Kong stocks' initial highs rose by more than 1,300 points. Hong Kong stocks were in the same place and "lost for ten years." The gap with the performance of the US market in the bull market is largely due to the fact that there are too few new components in the Hong Kong stock market, and more are “old economy” companies that represent heavy assets such as real estate, finance and infrastructure. There are only a handful of technology stocks. The new economic companies are even rarer, speculating and speculating, or those companies listed ten years ago. In the US stock market, the wave of technology stocks has surpassed the wave, and it has become the biggest gainer in this round of bull market. And led a large number of new economic companies to get the favor of funds, the stock price all the way up. Previously, due to institutional reasons, many Chinese technology stock giants also went to the US to go public, which gave the Hong Kong stock market a vivid lesson and pointed out a clear direction for the future transformation. As more and more Internet technology companies and biopharmaceutical companies are listed in Hong Kong, the old HSI and Hong Kong stock markets will change their birds and import new blood. The development potential of these companies will become the mainstay of rich returns in the next round of capital market prosperity. In addition, the current new economic stocks are in a passive “squeezing bubble” stage, which is not a bad thing for itself. In fact, the bursting of the bubble is inevitable in the current downturn in the global economy and the sharp setback in investment sentiment. In the long run, the stock price will eventually return to the fundamentals of its company's profitability. 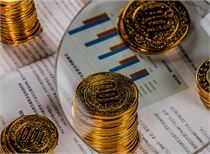 This will not only help investors to see the real high-quality enterprises, but also help the industry to turn its attention from capital operation to industrial development. 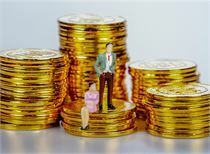 It is believed that the Hong Kong stock market will become a more mature capital market after experiencing the pain of this new round of “squeezing the bubble”, leaving the powerful new economic companies in the Chinese market. Vanke, Chairman of the Board of Directors of Vanke: Vanke said that he said to himself when he was alive. Institutional market: The Shanghai index regained 3000 points Is the adjustment completed? (3/27) Mingbo sees the market: Is the market in Changzhou Changyang or Changyin? The second batch of science and technology board accepting enterprises list is coming! 8 companies on the list of big investment bank shots have more of these shadow stocks! Source: The external factors become the incentives for A-shares. The market outlook is optimistic about the two major directions. With the funds of the mainland wearing the "vest" and adding leverage, it has become the highest leverage of the northward funds. The Shanghai Composite Index regained 3000 points and the volume of transactions shrank sharply. The industrial cannabis concept collectively rose. Fang Xinghai: There is no problem in the opening of the securities sector. We will wait and see. The risk of global economic stalls is increasing. The timing signal shows that the probability of rising A shares rises. Ye Tan: The A-share index has gone too beautiful! I really admire! Stock transcripts with a price-to-earnings ratio of 10 or less! The performance of 18 shares doubled, and the 100 billion industry leader fell against the market. Wang's family's "cash machine": only 240,000 yuan left in the account and a fine of 600,000 yuan by the CSRC! [futures] Futures Dawei Ge Weidong sells its private equity! 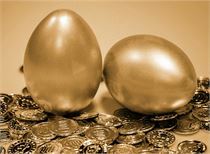 [gold] Why is the precious metals market suddenly changing? Banks have a good day to come to an end? Who is the winner of urban population competition? Private enterprises welcome the policy "spring breeze"